SPOILER ALERT: Continue reading to find out the latest message the Big Brother 12 houseguests have received from the Saboteur. After the Big Brother 12 houseguests received a message over the weekend claming that two people in the house are “lifelong friends,” the Saboteur has struck the house several more times. To begin, the Saboteur appeared on the TV screen and told the house (and more specifically, HOH Hayden) that he or she was lucky to avoid eviction this week. Does this mean that Brendon, Rachel, and Annie are ruled out as the Saboteur? Or is this just a lie by the Saboteur? We hope to find out more on Thursday’s live show. Additionally, the Saboteur has placed an electronic “beeping device” in the bedrooms. At random intervals, the device emits several noises ranging from a cricket sound to a high-pitched beep. Several houseguests have been studying the noises in case it has something to do with an upcoming challenge. Leave your comments below and let us know what you think! With all of the paranoia occurring within the house, now is the perfect time to signup and turn on your live feeds! 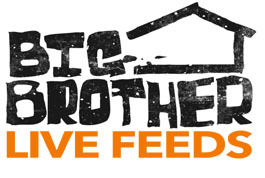 Read more about the benefits of the live feeds or start your 3-day free trial right now!